For members of Pleasantville Presbyterian Church in New York state, helping people in need is what they do. It has become a part of their DNA. 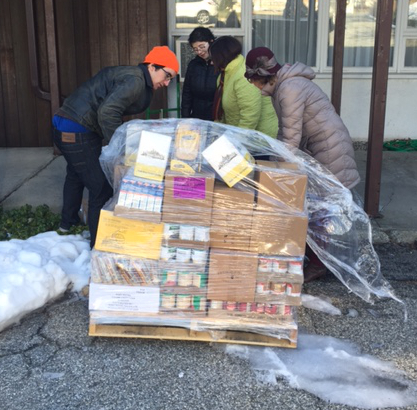 Certified as a Hunger Action Congregation by the Presbyterian Hunger Program in 2017, the church has taken numerous steps over the years to reach out to a community that struggles to find enough food. Wong says Pleasantville Presbyterian is always looking for new, innovative ways to help those who don’t get enough to eat. Because some people are embarrassed by their situation, Wong says the church tries to connect people with food pantries and kitchens anonymously. The church received a three-year legacy grant from Hudson River Presbytery, which is used to purchase a lot of the food at the food bank. Other activities include hosting a hunger banquet and a “Souper Bowl” collection on the day of the big game as well as an active social justice program for high school-age children. Almighty God, we believe no one should be hungry in body or spirit. We believe we can make a difference as your disciples as we work together. Most of all, we believe in your Son, who showed us how to love one another. Amen.